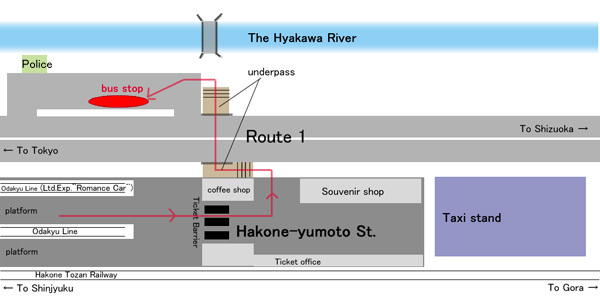 From Hakone-yumoto Station, you can take a regular shuttle bus. Please take a bus bound for "Tonosawa-C Course". 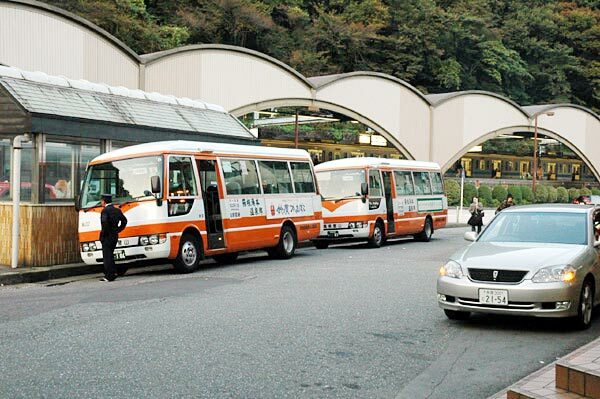 This shuttle bus stops right in front of the Kansuiro Ryokan. It is only a 5 minute ride and the fare is 100 Yen. COPYRIGHT © 2015 KANSUIRO, ALL RIGHT RESERVED.